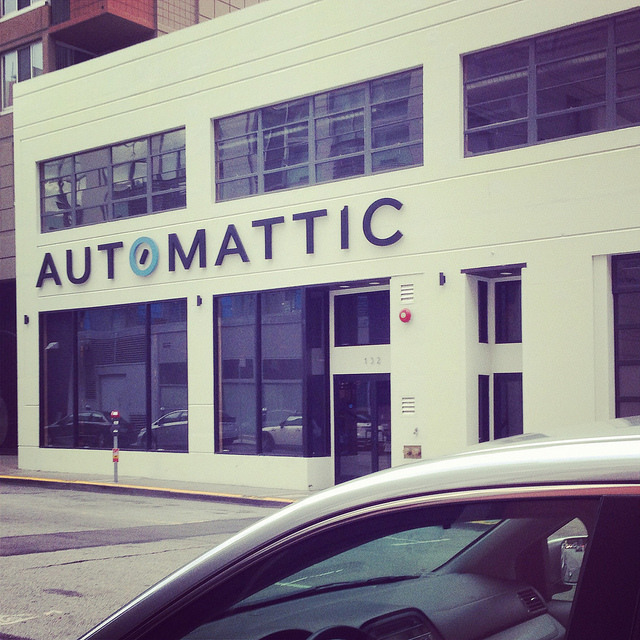 A year ago, I had my first day at Automattic. Mind you, it wasn’t my first day as a full-time employee, but it was the first day of my Happiness Engineer trial. A few weeks before, I’d sent in my resume at the urging of a friend, and the intervening days had been filled with checking my email obsessively, hours-long Skype interviews, and hopes that I’d move on to the next step. And here we were, the first day of my trial. 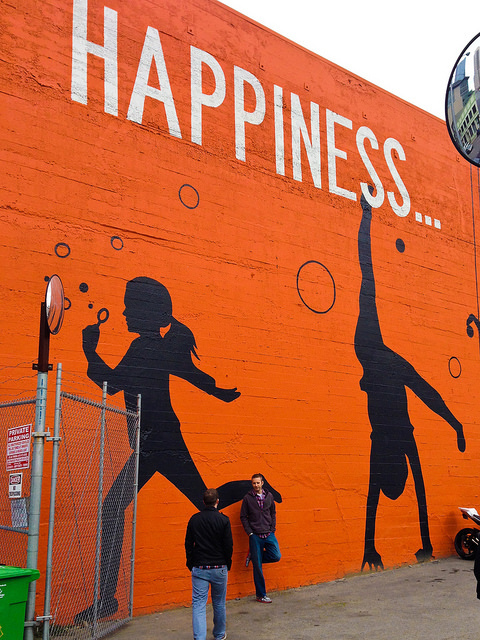 I’d spent the previous nine years at a job I didn’t love, but with coworkers I did. It felt weird, not being able to share this huge thing with the people I was so close to. I’d taken off two days from work for the training, and on September 9, 2013, off we went! It’s impossible to describe how full your brain gets in those two days (and the weeks afterwords.) So much information. As a trial, you’re given almost all of the same rights as a full-time employee, so you’re given immediate access to a vast well of information and people and animated gifs. You have to jump in and swim around and soak it all in and various other aquatic metaphors. It was an exhilarating but exhausting time. I would come home from my day job, take an hour or so to hang out with the boys and George, and then log in and work on support tickets for four or five hours. George took over all of the parenting in the evenings during this time, and without that support, I never could have made it. I couldn’t sleep well at night, because I’d been staring at a screen all evening. I’d just lie in bed, exhausted, unable to close my eyes. And then when I did finally fall asleep, I’d dream of domain expiration and upgrades and how to set featured images. But I was so happy. So thrilled that I was using my brain at last. And helping people with something I’d always felt passionate about. Blogging! WordPress! My trial went on for weeks. About three weeks into it, the entire company went to the Grand Meetup in California. It was up to us, a small band of trials, to hold down the fort. It was a Sisyphean task. No matter how many tickets we answered, more came in. Every afternoon, I’d log in, and there were more and more tickets. But we survived, and nearly all of us who worked through the GM got hired. Next week is this year’s Grand Meetup, in Park City, Utah. There’s a new crop of trials who will be battling the tickets this year. I was leading a training session for them a few weeks back, and I felt like a war veteran, reminiscing and showing off my battle scars. After seven weeks, I had a chat with my hiring lead, and the words that I’d been dreaming of flashed across my screen. “I’d like to pass you along to your Matt Chat.” The Matt Chat is the final stage of the hiring process, and probably the most nerve-wracking. You basically wait for a Skype ping from the founding developer of WordPress. I’ll admit to a tiny bit of hyperventilating when that “Howdy” popped up one evening. I locked myself in my office and told George I’d see him and the boys in a little while. A few hours later, I emerged from my office with a huge smile on my face. I was officially an Automattician! Man, that was good times. And in one week, I’ll be attending my first Grand Meetup with most of my 250+ coworkers. This past year has been amazing. I can’t believe this is my life. I work from home, for an amazing company, doing a job that challenges me with incredible people. I get to travel several times a year. Pinch me! And if I didn’t frighten you too much, we’re hiring!